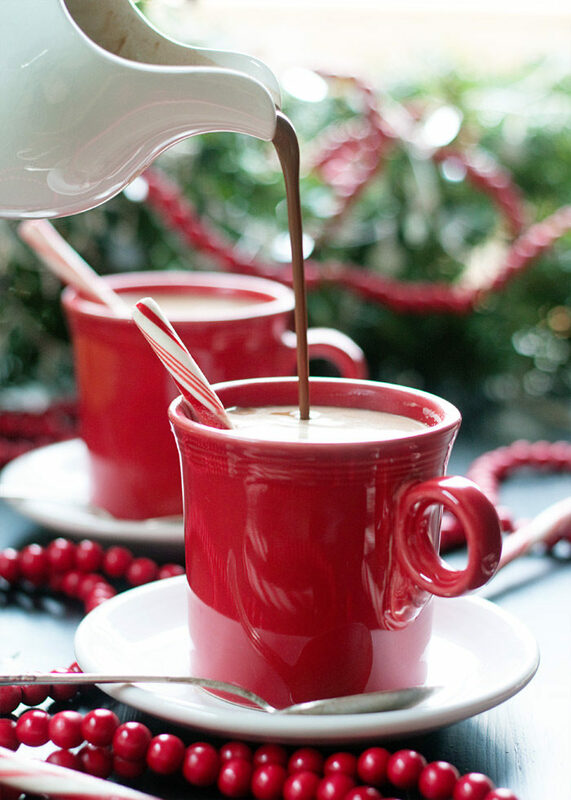 Perk up your coffee with this festive non-dairy creamer. Simply made with coconut milk, cocoa powder, pure maple syrup, and extracts, it’s super easy to make. And especially delicious with a candy cane plopped into the mix. Stir sticks are important! The holidays can be a bit brutal for dairy-free folk. I admit I’ve been sneaking a bit in here and there – I’ve found I can tolerate small amounts of dairy, usually in baked goods. Which doesn’t do my waistline any favors, but I digress. It’s the time of year for dairy-laden everything, but coffee-wise, we’re talking deliciousness along the lines of eggnog lattes, peppermint mochas, and some sort of new and amazing-sounding spiced sweet cream cold brew from the ‘Bucks. But here is where I don’t really feel like I’m missing out. Because I’ve been working on a dairy-free eggnog recipe for awhile now (here it is), and it’s divine splashed in coffee. 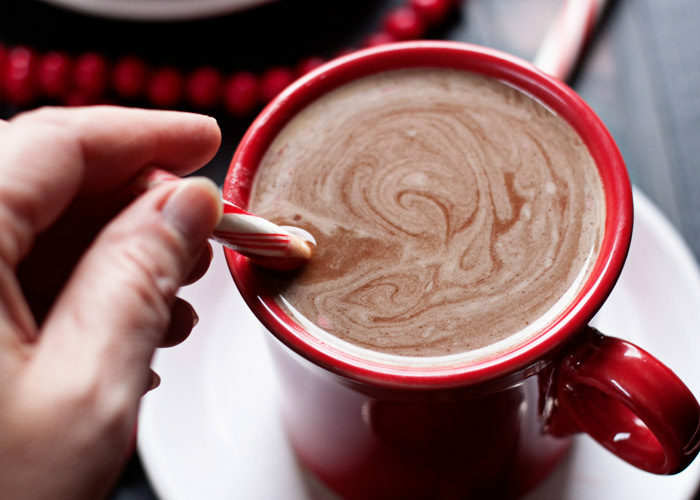 And then when I really feel like a December-worthy pepperminty chocolate splurge, I splash a good amount of this Peppermint Mocha Vegan Coffee Creamer into my cuppa joe. Initially, I envisioned this recipe as a cashew coffee creamer based concoction. And that was fairly tasty. But then I started thinking about how, perhaps, I should start with almost a homemade chocolate syrup situation and then go from there – the heat helps dissolve the cocoa powder. Not wanting to put you guys through a bout of soaking and THEN heating (oh the humanity), I decided to opt for easier and switched from cashews to light coconut milk. 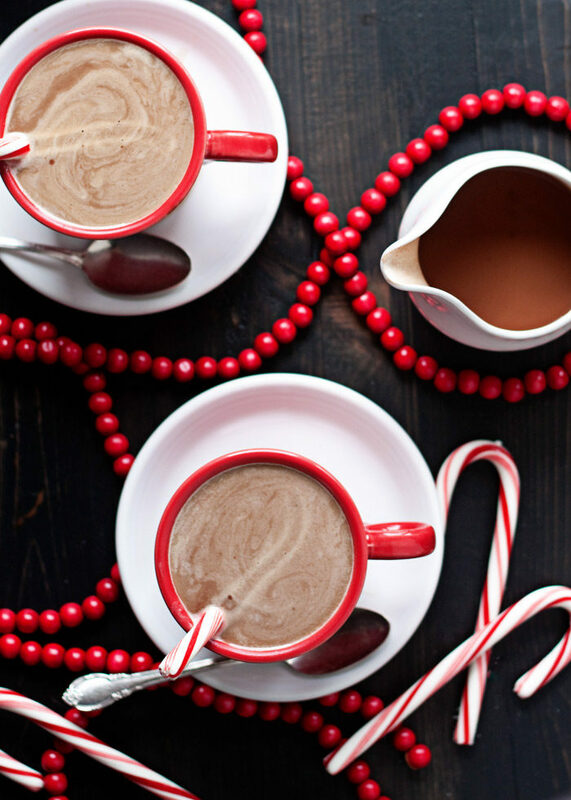 This Peppermint Mocha Vegan Coffee Creamer recipe is super easy to whip up. Just mix a can of light coconut milk, some pure maple syrup (Grade A to avoid a heavy maple flavor), and good cocoa powder in a small saucepan. Flavor with extracts and helloooo, vegans and dairy-free folk! The holidays are for you too! Set a small saucepan over medium heat. Add the coconut milk, 3 tablespoons maple syrup, cocoa powder, and salt. Cook, stirring occasionally, until just about to start simmering, about 5 minutes (depending on your stove). Remove from heat. Stir in vanilla extract and 1/8 teaspoon peppermint extract. Taste and if you’d like it mintier, add an additional 1/8 teaspoon peppermint extract. If you would like your creamer sweeter, add another tablespoon (or five) of pure maple syrup until it’s just right for you. Let cool to room temperature then transfer to a sealed container. Keeps, refrigerated, for 4-5 days. 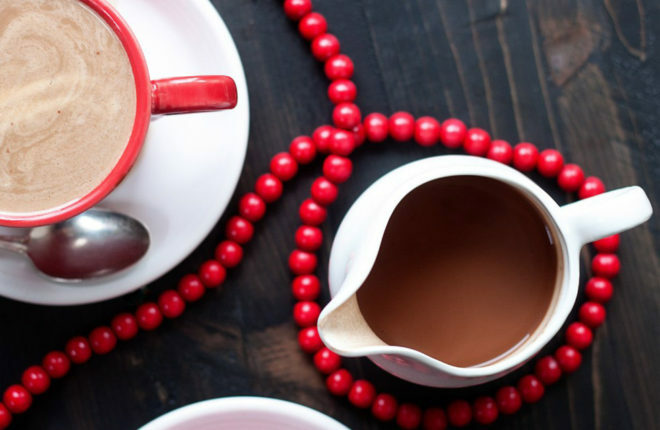 To serve, add a generous amount to a cup of strong-brewed coffee. If you like, top with coconut whipped cream, a drizzle of chocolate syrup, and/or a candy cane. * Make sure your sugar is vegan if that is important to you! Can I just say how much I appreciate your use of the peppermint extract here? I once made a peppermint mocha that asked for 1/4 tsp of the stuff in ONE SERVING. It was horrible. I had to throw it out immediately. This is perfectly minty. I would’ve given it 5 stars but I feel like it needed a lot more sugar. I guess when I think of coffee creamer I’m thinking about Coffeemate, which is super sweet. Still, this is very good! I was just wondering, how long will this keep in the refrigerator? Will the coconut milk separate after a while? I’m the only one who uses creamer in our house and in relatively small amounts, so I don’t want to end up wasting a lot of this if I make it — it looks too good! I am making this today for tomorrow morning. Wonderful with my homemade almond milk! 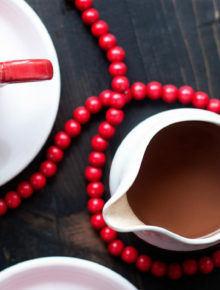 Thank you so much for considering mocha peppermint creamer as an addition to your site. I’m new to the vegan lifestyle and was very excited when I saw this recipe. Coffee-Mate peppermint mocha creamer was my last holdout when it came to completely converting to a plant based whole food way of eating. I can’t wait to purchase some mint extract and get started! Thank you again very much!